Every couple of years, I get the irresistible urge to change things up; to try something new, to push myself past my previous limitations – in short, to grow. I had a business growth spurt that pushed me to publish a book, and a spiritual growth spurt engaging in the Alembic Program offered by the Kaiser Institute. I embraced the Paleo diet about four years ago to take back control of my health; no sugar, grain or dairy! I’ve always been the kind of person who’d rather be a little overwhelmed than bored. I’m frankly not sure whether that’s a good or a less-good way to go, but it’s always been my style and it’s served me well. 2017 found me hankering for my next opportunity to go bigger. That chance presented itself when my friend and webmaster Chad Barr invited my husband and me to be his guest at a four-day conference, Brendon Burchard’s High Performance Academy. We weren’t really sure what we were getting into, but we trust Chad, so we went. We discovered a young man, Brendon Burchard, who has been teaching millions of people around the world how to live their best lives and become high performers. I’d expected advice on how to create a successful business; what I got was direction on how to create a successful life. 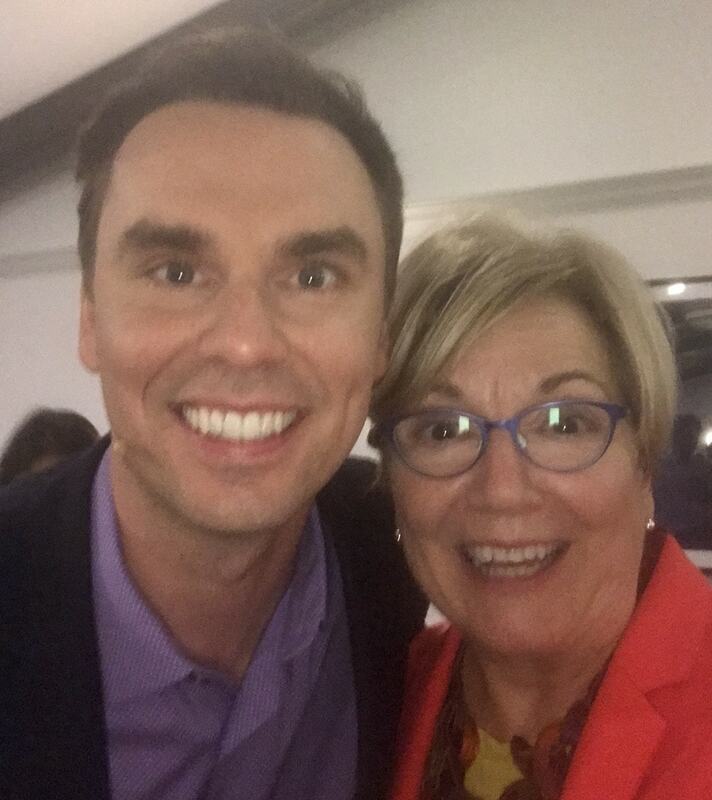 What made it especially resonant for me was that Brendon Burchard’s message centers around the same tenets we teach in hospice; to focus on caring for body, mind and spirit first. He has done extensive research on what makes people “high performers”. After 10 years of interviewing thousands of people in 190 countries he has defined high performance as: “performing at a level beyond the standard norm, consistently over time”. And he teaches people how to create habits that will sustain your best practices in serving others while caring for yourself, body, mind and spirit. His positive approach to life and his humble beginnings made him relatable to the 2,000 people who had flown in from around the globe to be uplifted by his positive message, to learn how to reach their highest potential and sustain it. I left feeling inspired and ready to commit to this new area of growth. Since that first HPA conference last March, I have gone on to become a Certified High Performance Coach in Brendon’s High Performance Institute and joined Brendon’s Master Mind group. My aim is to surround myself with people from all over the world who want to bring their best selves to whatever business or life they are leading. In this process I’ve realized that it’s time to bring my message of focusing on Mission, Purpose and Passion to achieve positive outcomes to a larger global audience. My first step is offering my VIP High Performance Group Coaching program to small groups of people striving to reach higher levels of achievement via Zoom video conferencing. I would encourage you to take a look at the program by clicking the link below. Each of us can go beyond our current levels of performance. I didn’t realize I had this extra gear in my drive until I was inspired by a 40-year old man who is a dorky dancer on stage; who isn’t afraid to laugh until he cries, and who challenges millions of people to live their best lives by bringing the JOY and honoring the struggle. What are you doing to expand your horizons and extend your reach? To quote Bob Dylan, “He who’s not busy being born is busy dying”.